If you like to keep a dozen or more bottles of wine stocked, then a wine storage cabinet is a great addition to your home. 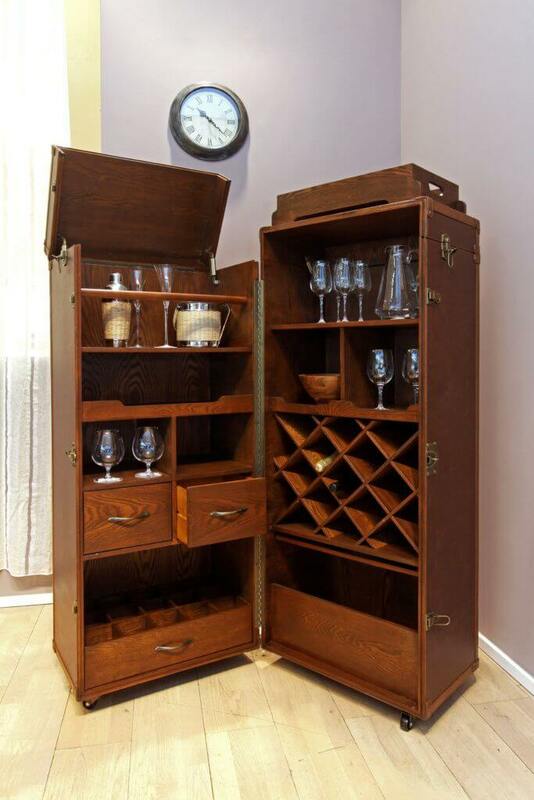 Whatever the interior design or amount of space offered, a custom wine cabinet will fit perfectly. While there are many ready to go wine racks, wine tables and wine cabinets, the one that will look the best will match the wood in your home and fit into it's place perfectly. Whether it is a custom piece of furniture or a in-wall unit nothing can match the sophistication of a unique install custom to your home. Perfectly matching wood, the amount of ornate (or simple) detail and hardware that reflects your style won't be found in a mass produced item. Ready to go units can easily cost many thousands of dollars. A custom cabinet can actually be a cheaper option. 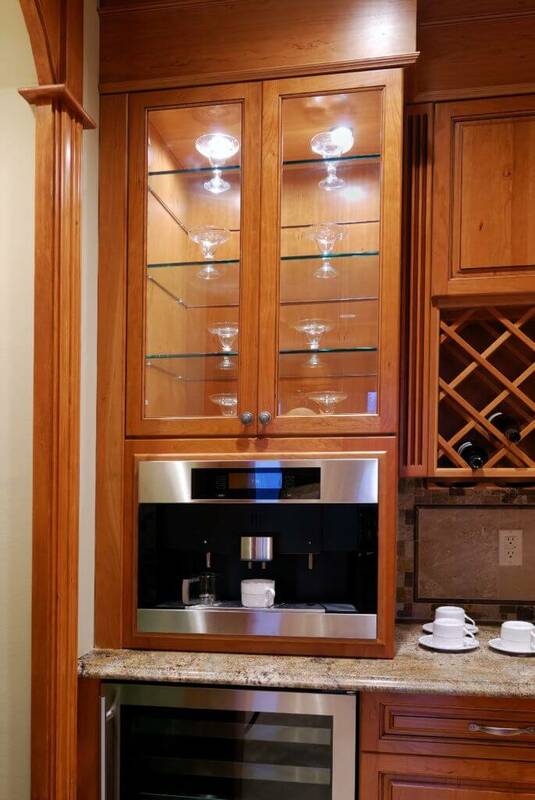 Tall standing wine cabinets with glass allow you to accommodate more bottles and to install a cooling device. No wine seller or walk in wine cooler needed. There are many types of small wine cooling units with whisper quiet digital technology. The wonderful thing about order a custom cabinet is that you can incorporate the cooling unit that is best for you. Not everyone wants to display their wine collection as a featured element in the room. Some want a beautiful Armoire that is a more subtle and does not distract greatly from other pieces in a room, such as paintings or fireplace. The beautiful thing about an Armoire is that the inside can be as varied as you imagine. Whether you want a top to bottom wine rack and built in cooling unit or you want a full service wine bar, it is all possible. A counter space, hanging rack for glasses, drawers for bottle openers and accommodation for other types of alcohol are easily built in. If you have the space and the inclination, remodeling a closet, basement, room, pantry or other available space can be a very rewarding experience. Seriously, some stand-alone EuroCaves will cost more than a remodel. When considering your options remember that cabinet companies like I&E have the experience, on-site cabinet making facilities and experience to provide you with top grade professional remodels for specialized rooms. Going to a company that specializes in only wine rooms will not get you a better room, only a higher bill.